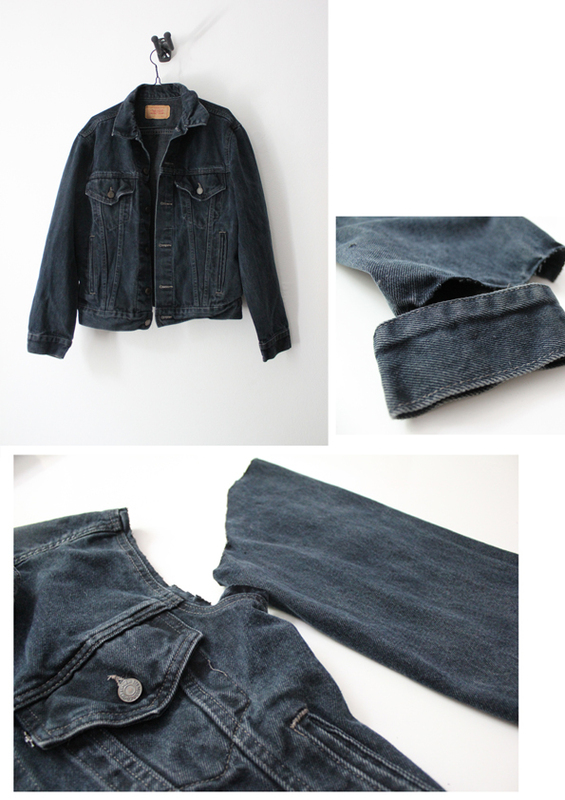 You'll need: A denim jacket, scissors, needle, thread, seam ripper, tape-measure. 1. 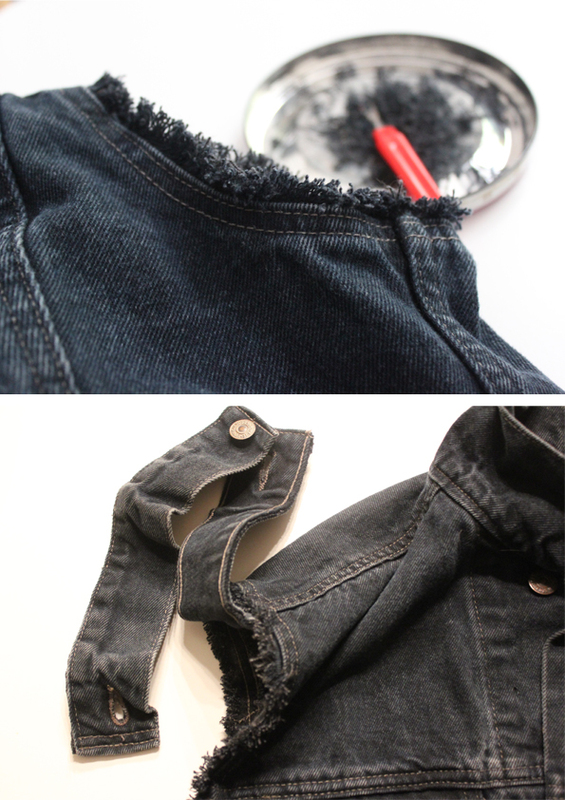 Cut off the sleeves, leave a cm space at the seams. Take the cuffs of the sleeves, you'll need them to add as epaulette. 2. Fringe the edges (the one cm extra you left while cutting of the sleeves), by using a needle. 3. Make buttonholes at the shoulders (meassure both sides to have your epaulettes symetric) by using a seam ripper. Stich the edges so I will not fray. You can do this with a sewing machine (If it contains a button hole function) or by hand, which I prefer. 4. 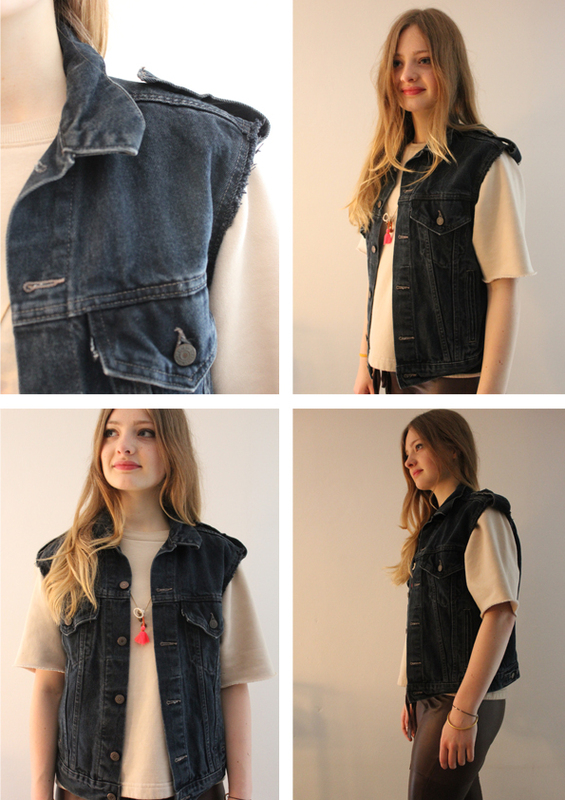 Add the epaulettes, buttons from the inside through your selfmade buttonhole and fold it over, Done! It's a brillant idea and i love the result. It's a great DIY. It's now a very nice jacket. 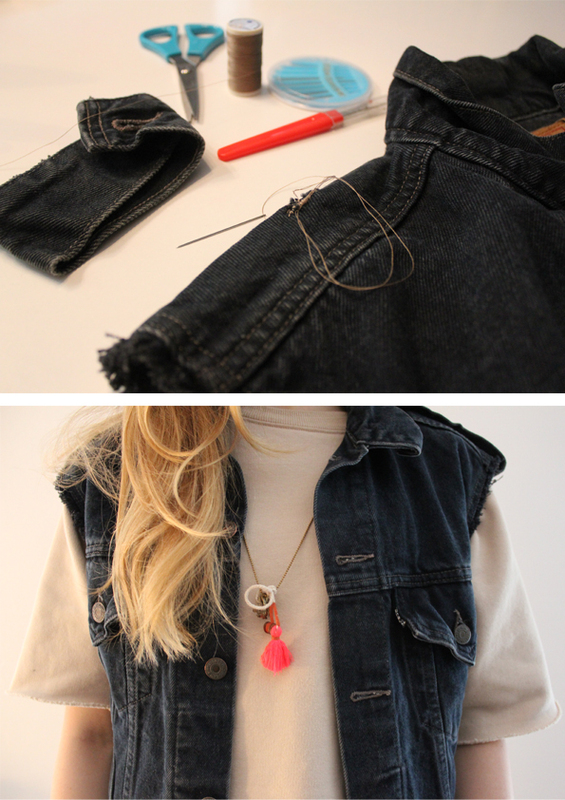 Wat een supertoffe DIY, love it! Wow well done ! It's look easy to do, I definitly want to try it ! You're doing DIY projects too ! Great, I like creative people ! Cool jacket !